Asian Superheroes. The perfect intersection of two of my passions: racial diversity, in particular the representation of those who look like me, and the stars of my favourite medium, ie. comic books. It was just earlier today that I picked up the second issue of Silk, which [as briefly mentioned in another post] features Marvel’s newest hero, a Korean-American who received her powers from the same spider that bit Peter Parker. Similar to Spider-Man she has enhanced speed, strength, reflexes, and a danger detection system [aka. her self-coined “Silk-Sense”] as well as her very own ability to create biological webs from her fingertips. Other favourites from the same publisher include Shang-Chi, the Master of Kung-Fu, an Avenger at the time of this writing. He primarily relies on his master of martial arts, an ability which didn’t keep him from participating in an intergalatic war to save the universe. 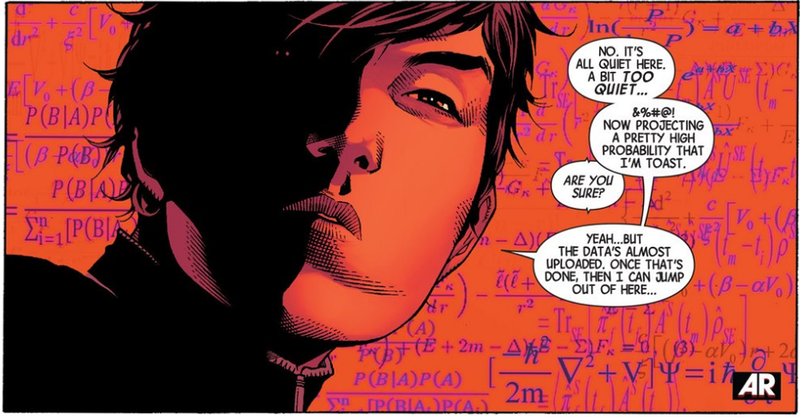 Another is Amadeus Cho, a teenager who attained the title of “7th Smartest Man in the World” and frequently took down superhuman assailants with only his intelligence and whatever else was available. Yes, at one point one of those superhuman assailants was the Hulk. The Hulk. Each of these heroes is wildly different from the next, but share a few key similarities [besides their belonging to Marvel and being of East Asian descent]. The first is the quality that makes them heroes, the self-sacrificial desire to protect the innocent and defeat those who would do them harm. The second is that I would love to see any and all of them make it to the big screen one day, to fight alongside the White, square-jawed Chrises of the Marvel Cinematic Universe. The third is that every one of them is a work of fiction. Bradley Katsuyama is a real-life currently existing person. He is an Asian-Canadian and has been a doer of objectively heroic actions surrounding the investigation and consequent combating of algorithms that preyed on unwitting investors. While not the intellectual property of a company creating and producing recent years’ largest blockbusters he is the focus of the novel Flash Boys: A Wall Street Revolt, a film adaptation of which Aaron Sorkin is set to write the screenplay for. Yet at this point Katsuyama is no closer to having his story told than Shang-Chi or any of the rest of them. Way back in April of last year I wrote a post called “Mashin’ It Up” [titled after something Harley Morenstein says on Epic Meal Time] that mentioned the new upcoming Teenage Mutant Ninja Turtles film. You don’t have to read it if you don’t you want to, and I can sum it up with the following sentence: the turtles will now be aliens. Oh, and Michael Bay will be directing, but you knew that from the title. 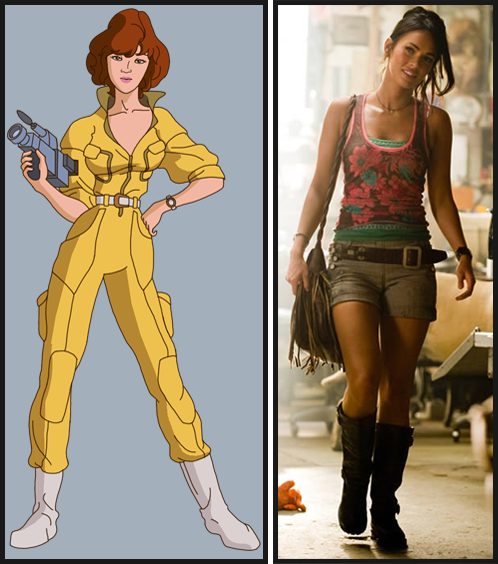 To be more specific, Megan Fox will be playing April O’Neil, the Turtles’ ladyfriend. Prompting rage from all corners of the internet [not that they weren’t already upset about the “alien” thing]. As you all probably know, Megan Fox played a pretty pivotal role in his first two Transformers movies, until the two had a falling out and she was replaced in the third film by a blonde goldfish [looks are subjective, but that’s just how I feel about Rosie Huntington-Whiteley]. Now it appears that the two have patched things up and the actress will have moved on from hanging out with alien shapeshifting robots to hanging out with ninja turtle aliens. She managed to beat out starlets Jane Levy, Anna Kendrick, and Elizabeth Olsen, who were all also in the running. I can say for a fact that the latter two, at least, are very talented actresses and that I am very glad they didn’t make it. Allow me to explain myself. No one out there expects this to be a good movie. I mean, sure, co-creator of the original TMNT comic Kevin Eastman thinks it’s going to be “a fantastic film,” but I’m not buying it. We’ve all seen Transformers, we know what to expect: a testosterone-fueled explosion-fest that will include at least one decent fight scene that you’ll have to find on YouTube after you’ve seen the movie because there was too much detail in too short an amount of time. It won’t be good. And because it won’t be good I don’t want Anna Kendrick in it. If it’s going to be a train wreck of a movie I don’t want decent actors and actresses to be involved in it. Megan Fox can be April O’Neil because if I watch this film I want to enjoy it like I do a triple bacon cheeseburger, knowing it does nothing good for me whatsoever. Casting a truly gifted actress would be like putting spinach on that burger; it’s not where it should be, and in spite of being healthy would actually hinder my enjoyment of it as a whole. So I’m not mad, personally. It’s just a Michael Bay movie, something we’ve all had to get used to at some point this past decade. You can be upset about it if you want to, but that’d be like being mad that an episode of Here Comes Honey Boo Boo doesn’t have better cinematography.